I found this somewhat amusing. 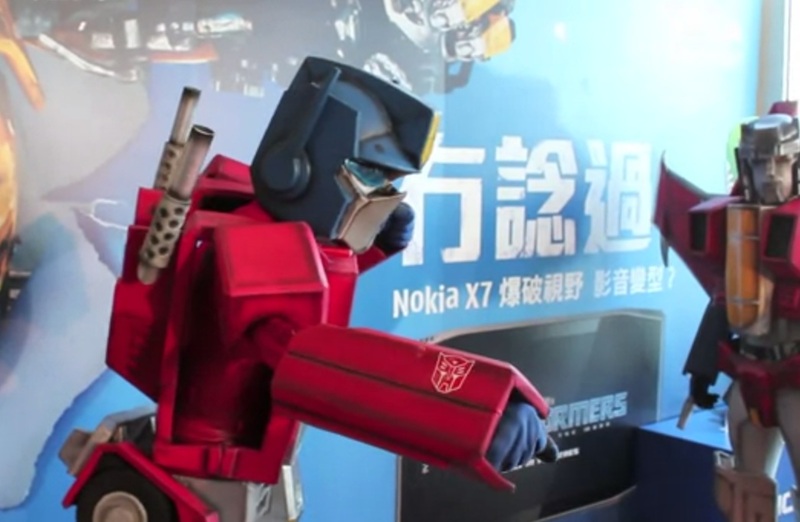 At the Nokia X7 launch they had these two guys in transformers cosplay. In true style, they can actually transform from robot mode to the vehicle mode. As much as I love Optimus Prime (the truck), Starscream (the jet – does anyone ever read his name as stars cream? :S) looked cooler here. They are in the old classic transformers style. The newer transformers Michael Bay starscream would probably be a little harder to pull off. Check out this other post. Transformers N900 Also included in that was the N93i in the first ever transformers movie.